Record and share videos and content on the fly from Cisco TelePresence® or other video endpoints, easily extending the usability of live or stored video for events, training or organizational communications. Enjoy exceptional search capabilities within videos themselves. Instead of wasting time scrolling through hours of video to find the right clip, with a few clicks of a mouse, users can now simply advance to the right spot -- whether to a spoken word, phrase or desired speaker. A new 47-inch Cisco TelePresence endpoint, optimally designed for immersive communications in any office or small conference-room setting. A new user interface for Cisco TelePresence endpoints that combines the best features of Cisco's one-button-to-push technology and a rich touch-screen feature set. The first line of Cisco® Unified IP Phones that have cameras built in to the devices, offering customers an easy, affordable way to readily adopt and deploy video communications. These devices, which work with the entire portfolio of Cisco video endpoints, from the desktop to immersive Cisco TelePresence rooms, also contain a variety of energy-saving features, helping companies support green initiatives. 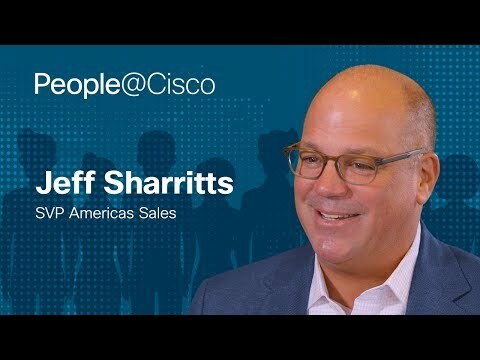 These new offerings, endpoints and experiences, combined with Cisco's previously announced medianet architecture advancements, can help customers deploy video more pervasively and streamline video creation, delivery and consumption. With the introduction of Cisco's TelePresence Content Server 5.0, customers have access to an end-to-end video recording and streaming solution. Users can record a meeting in a Cisco TelePresence session in premium resolution (1080p at 30 frames per second), or 720p at 60 frames per second and immediately review, play back and share that recording with others through integration with Cisco Show and Share®. Show and Share, Cisco's enterprise webcasting and video sharing platform, is now available in French and Spanish as well as English. Show and Share is also tightly integrated with Cisco Quad TM, Cisco's enterprise social software platform. The Cisco TelePresence Content Server 5.0 is scheduled to be available globally in March. Integration of Cisco Pulse® analytics capabilities for video searches that can remove the time-consuming process of having to watch hours of videos just to find the right content. With Cisco Pulse analytics, the Cisco MXE 3500 automatically tags words and speakers in videos so that users can easily and quickly search videos and find the speaker and content segments they need. A new browser-based interface for quick and easy adaptation and post-processing features. End users can now easily upload files; add a bumper, trailer, watermark or customized graphic overlay; and select targeted playback devices like Cisco Show and Share. New live-streaming capabilities for live-event support on Cisco Digital Signage solutions. The Cisco MXE 3500 is a key part of the medianet architecture for any-to-any media adaptation, allowing users to capture and share media from any endpoint on any platform. The new interface, additional live-streaming capabilities and Cisco Pulse analytics option will be available in phases, scheduled to start in the second calendar quarter of 2011. As announced at the recent Digital Signage Expo in Las Vegas, Cisco has unveiled a solution for streaming live telepresence and other video content to digital signs. Customers can use this offering to expand the delivery of important messages to employees and students, make emergency announcements to large audiences, and scale viewership for large corporate "all-hands" meetings. This dynamic solution uses technology from the Cisco TelePresence Content Server, Cisco Show and Share, Cisco's MXE offerings and Cisco's Digital Signage. The new model in the Cisco TelePresence System 1300 Series has a 47-inch LCD and can be wall-mounted or free-standing, making it an ideal solution for a variety of deployments where immersive collaboration is optimal. This endpoint will support the Cisco TelePresence Touch 12-inch, a new and intuitive touch-screen interface that provides one button to push simplicity and sophisticated layout and sharing controls. The Cisco TelePresence Touch 12-inch will also support a variety of other Cisco TelePresence endpoints. The Touch user interface lets meeting participants easily access meeting information, consult a directory and share content. Customers currently using Cisco's IP Phones will have the option to upgrade their endpoints to the Touch 12-inch device, if they so desire. This endpoint is scheduled to be available globally summer 2011. Expanding on Cisco's commitment to provide video on all new enterprise endpoints, Cisco's Unified IP Phones 8941 and 8945 ship with a built-in video camera for high-quality (VGA) video communications, and a 5-inch high-resolution display, helping users capture nonverbal communications that are missed on audio-only calls. With the IP Phone 8941, Cisco is the industry's first provider of an IEEE Power over Ethernet (PoE) Class 1 video phone. The phone is recognized for having the lowest power draw, even during the workday. Both the IP Phone 8941 and 8945 offer a "deep sleep" option, reducing power in off-work hours. "As the market transition to video takes place globally in the enterprise, we believe it's critical that our customers have the ability to easily work across the video workflow: from the creation and production of video, to consumption and sharing capabilities. We also believe that they should have access to devices and offerings that work together in a seamless and intuitive way. Cisco is committed to driving ongoing innovation that delivers on our vision for the pervasive deployment of video." "The University of Georgia College of Pharmacy utilizes the Cisco TelePresence Content Server in conjunction with Cisco video conferencing endpoints to capture live lectures and pre-record learning modules that our PharmD students can access over the university's Learning Management System, eLearning Commons. Our students and faculty have rapidly adopted this form of content capture, which has resulted in hundreds of hours of recorded educational content. Our integration of the Cisco TelePresence Content Server with our existing video conferencing network has become a critical service that our department provides to the College of Pharmacy and is serving as a model on the University of Georgia's campus as one method of what can be done with content capture in higher education." "We are a large multi-campus research and educational institution with five regional locations and are participating in research in many global areas. Communication between our students, faculty and staff is vitally important to us to enhance our learning and teaching, research, and administration. We are looking for Cisco's new IP Phone 8941 and 8945 endpoints to enable us to affordably deliver high-quality video communications on every desk. Our faculty and staff can benefit by receiving visual cues and body language that is integral to personalized learning and research collaboration. We will also enjoy the energy-saving features, Bluetooth capabilities for hands-free conversation and interoperability with our previously deployed Cisco room-based video endpoints." 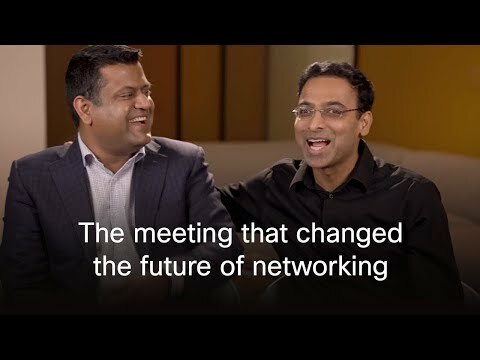 From award-winning IP communications to mobility, customer care, Web conferencing, messaging, enterprise social software, and interoperable telepresence experiences, Cisco brings together network-based, integrated collaboration solutions based on open standards. These solutions, as well as services from Cisco and our partners, are designed to help promote business growth, innovation and productivity. They also designed to help accelerate team performance, protect investments, and simplify the process of finding the right people and information.